"You should have seen that sunrise with your own eyes..."
I received an answer to my prayers an ms was actually able to get up on time, exercise, and go to the library to read my scriptures. I was on the 4th floor and the windows face east, toward the mountains. I got to witness the sunrise! It was a wonderful morning (until classes started). I'm really nervous for my "ASA" tomorrow for Music Therapy. I'll be praying hard that it goes well. I'll let you know how it goes. It's amazing how much more work I get done when I'm in the library as opposed to my apartment. As much as I hate to do it, I'm deciding to do the majority of my studying there. I'll practice my piano and guitar for the last two hours of the day, but everything else will be in the library. AND I'm resolving to always do it on the 4th floor. That way I'm doing exercise and homework. I'm trying to be as resourceful with my time as I can. Not too much else to say about today. Two of my classes royally annoyed me, and the other two I rather enjoyed. My tongue seems to be completely better. So it's a good day. But I hope tomorrow is a better one! So, I'm serious, miracles really do happen. For many months, the things I've wanted most have been to be happy, to not care what others think, and to love. I've also wanted to become more confident. I've still got quite a ways to go, but this last weekend I've been so happy, I have cared much much less what others think, and I feel like I'm really learning to love! I've been confident in school, and I've been happy, free, and in love when I'm with Jeff. Prayers are answered, and miracles do happen. =) God grants us the desire of our hearts. And He sure makes life amazing, and surprising! =) And I'm so grateful. Fun? With a friend? For reals? Today was a good one. =) On Thursdays I only have two classes, and they're in the morning. After my Keyboard Harmony class, I went home, and got my little piano keyboard and took it outside. The sun was shining and the sky was blue and weather was in the 30's, so I sat by my door and practiced piano. It was glorious. Definitely not perfect, but rather glorious. Then my roommate Melina invited me to come to the DI with her. She wasn't expecting me to say yes, and was prepared to bribe me. But I immediately agreed to come. We rode the bus there, had plenty of great conversations, and had a great time shopping. She bought some shoes for herself and a telescope for her nephew, and I tried on multiple outfits, and ended up buying four pieces of clothing. I'm really excited about them. =) Then we came back home and had ice cream that Melina offered to share with me. The whole afternoon was simple and cheap, but it meant a lot to me! I got invited to do something! With someone other than my boyfriend or my family! I haven't had a girl friend that I could hang out with consistently, for quite a long time. Melina and I decided we're going to exercise together in the mornings to keep each other motivated, and I'm looking forward to it. It feels good to have a friend. =) We're pretty different (countries, majors, religion, and so forth) but we're also a lot the same - we love music, we're vegetarians, we value hard work when it comes to school, and we dearly love Jesus Christ. I'm ever so busy, but I'm enjoying the things I'm studying, and pretty much really liking life! And I get to see Jeff tomorrow. So all in all, I'm going to bed happy. Sounds like an ordinary miracle to me! Day started out rough...but the evening was awesome! As promised. I started playing Jingle Bells and Happy Birthday for my roommate Amanda, and before we knew it, we had over half of my roommates in my room and we were jamming out Jingle Bells! I have tons of different instruments in my room (piano, guitar, tambourine, drums, bumpy stick thing, shakers, wooden flute, and my roommate has a violin and a recorder). We recorded ourselves on Garageband and had a blast. I don't have that clip to post on here, but I do have a clip of Melina goofing off. Would you like to hear it? Too bad. I haven't figured out how to upload voice memos from my iPhone. Hopefully later. Also, I was feeling grouchy earlier today, so I called Jeff and talked with him. We decided that I would pray for him to focus on his schoolwork (which he really wanted) and he would pray for my headache to go away (something I definitely wanted) and God is good and both of our prayers were answered. Which makes me wonder if He likes to answer our prayers more when we're praying for others than when we're praying for ourselves... Interesting thought. I don't know the answer. After class I walked back to my apartment, jamming out on my drum as I went! My other percussive moment today was when my head slammed into a shelf in the Institute bathroom. And the weird thing about that was that I smiled and started singing, and went on my way. My expression of gratitude today is that I am so grateful I don't have boils. That's what I end up thinking about when my Anatomy readings are about the Integumentary System and my Old Testament class is about Job. I had an interesting day today. I was feeling kind of discouraged this morning and for the last few days because it seemed to me like Jesus was never mentioned at church meetings, at FHE, among fellow members throughout the day, etc. 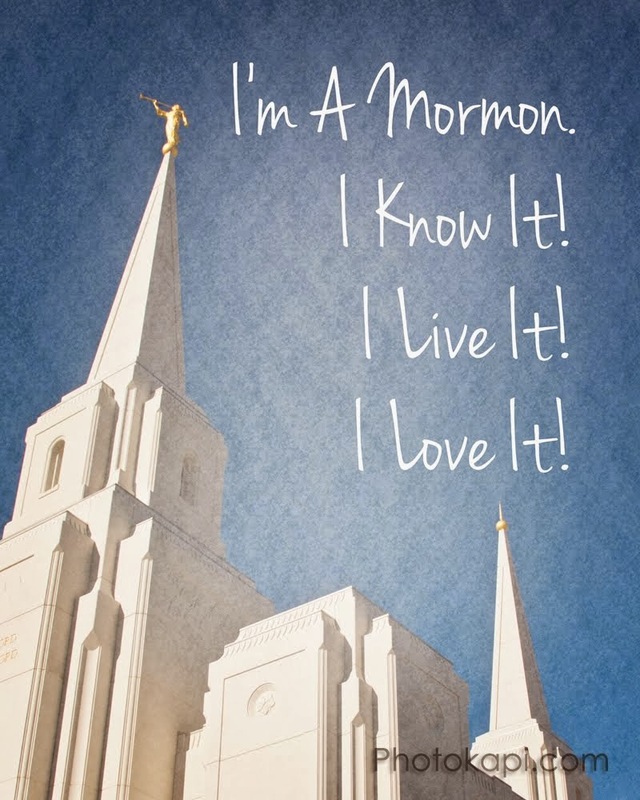 I've seen the examples of some people who aren't LDS, but are much more focused on Christ. One person in particular is an amazing example of that. She gives Him credit for all the good things that happen to her, she speaks of Him lovingly and gratefully throughout the day, she expresses her faith that things will work out because of Christ, even if she can't see how at the moment. She trusts Him and obeys Him and always wants to serve Him. Her life is dedicated to Him. I look at her and I think, "She is much more ready to meet God than I am." And I've started to wonder, how important are the things that I believe? How important are the differences between our beliefs? She has Christ. She has the most important part. Where does everything else fit in? Part of me started to think "Are we really Christians?" We seem to so rarely talk about Him. We seem to so rarely exercise our faith in Him and then see a miracle. It seems like we usually just look back on our lives, see cool things that happened, and call them miracles. Backward-looking faith is a lot different than forward-looking faith. We so infrequently express heartfelt love, appreciation, excitement and gratitude about our Savior and Redeemer. So what's wrong with us? I don't have a solid answer. But the amazing thing today was that I started noticing things. I was looking at my temple recommend, and the Spirit pointed out to me, that in the church logo, the words "JESUS CHRIST" are in the center, and are in the largest font. It was extremely comforting to me. Church leaders recognize that Jesus Christ is the most important thing, and the other parts, though very important, were subordinate. Also, as I read the scriptures and the words of living prophets, I noticed how much they were focused on Jesus Christ. It was extremely comforting to me as well. Also, this morning, the Church posted on Facebook: "And Christ hath said: If ye will have faith in me ye shall have power to do whatsoever thing is expedient in me. Moroni 7:33." In lots of other little ways, God pointed out to me today that this church really is about Christ. He is at the head. The thing I fear however, is that a majority of the body will not let Him in, and so He is only at the head. I think I thought more today than I remember thinking in a long time. My brain is being fried. Every day is so busy! I guess that happens when you take 18 credits. I find it interesting that the brain I'm using to do all this thinking is focusing on memorizing the bones that touch and surround it. This week I'm supposed to memorize every bone in the skull and the rest of the axial skeleton. Other things I'm grateful for: that we didn't actually open the bags and see the cadavers today during my lab, my water filter is working, I have new pens (including pretty green ones), the Anatomy book at the library was available when I needed it, I found some new shortcuts through buildings on campus, I got to spend time with my roommates, my spaghetti was yummy, I wore my cute hat all morning (thanks Jeff! ), and I got to draw a picture that means a lot to me during one of my MT classes. And can I just say I'm grateful for my body? It's so intense! I'm so happy it works! Today I'm especially grateful for my atlas vertebrae and my axis vertebrae. Hooray for vertebrae! =) I know that sounds cheesy...but hey. Why be afraid to be alive? Today was a rather busy day. Rather than bore you with all the details, I will just tell you about my favorite class today. That class is Music Therapy Ensemble. When our name was called on the roll, we had to sing about how we felt. We improvised several different pieces and had a good time. We're supposed to bring four or five instruments to class every day (including things like hands, feet, pencils, guitars, drums, shakers, and so forth). The reason I liked it so much was because she talked about how we shouldn't be afraid to sing everything. However it comes out! Not polished, but real. Right from the soul. Whatever comes out. Whenever it comes out. Let music live. Not just exist, but live in me. We're afraid of that. Its not socially normal. But it sounds rather happy. So I plan to sing a lot more of my thoughts and feelings, as often as I can. I did end up dancing a lot today, just for fun. It's been a blast. A kind girl showed me how to get to the bus stop when I got lost. A shout-out thank you to that kind girl! Melina and I had a good conversation about how this semester is going to be so hard for both of us that neither of us can do it alone. We're definitely both gonna be needing God's help. And He will help us. =) He made it hard enough for both of us that we won't be able to say it was our own efforts, "my own hand hath saved me" (Judges 7:2), when we succeed. Instead of shrinking my army like He did to Gideon, He just increased the difficulty level of my classes and the credit load, and the time available in my schedule. Same effect though! I know a busy schedule isn't the biggest of afflictions, but the point remains. It's going to be a tough semester, but I really think it's going to be awesome as well. =) I spent most of today organizing my calendar and getting ready, and I'm feeling good. Except for the fact that I forgot to go grocery shopping, and one of the few things available to me for dinner tonight were chocolate chip cookies. Oops!